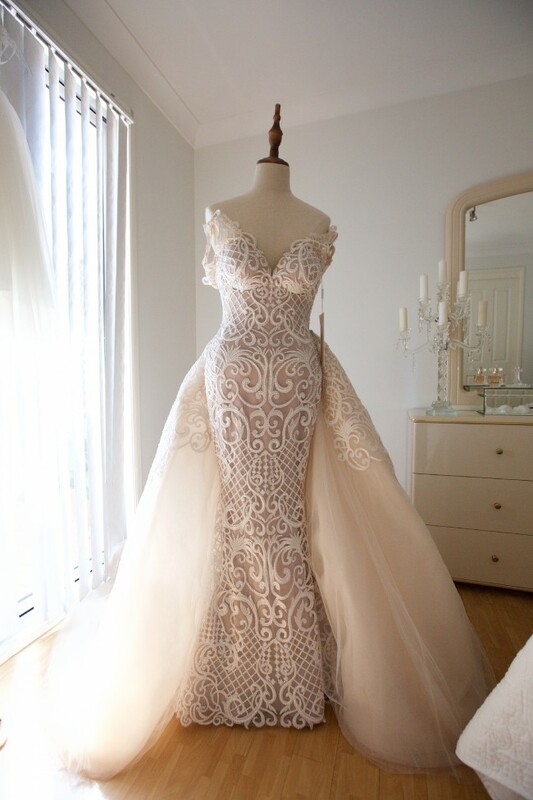 The dress is lace with beading. It's tight fitted, floor length. The dress comes with a long detachable over skirt which has beading throughout. The dress also comes with a long veil that is also beaded (the beading matches the beading in the over skirt). 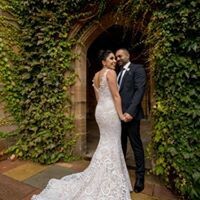 The dress has only been worn once and has been dry cleaned and looks brand new. The dress is still in its original packaging. Price is negotiable and happy to include shipping in price. Once you send a message, Anita can invite you to purchase the dress.